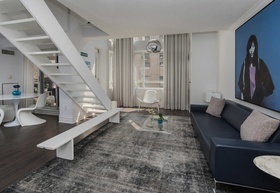 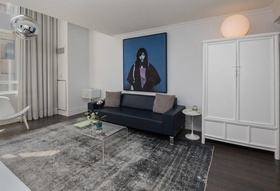 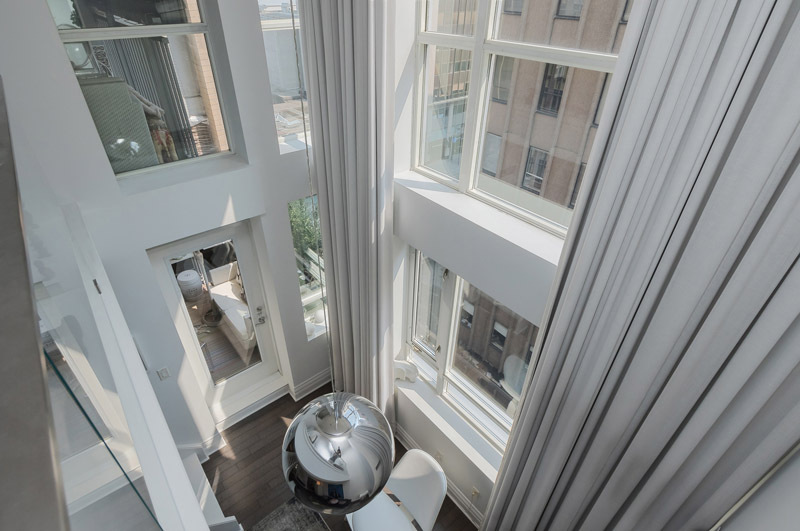 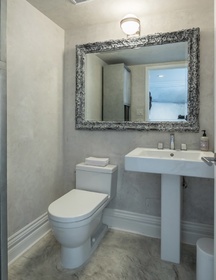 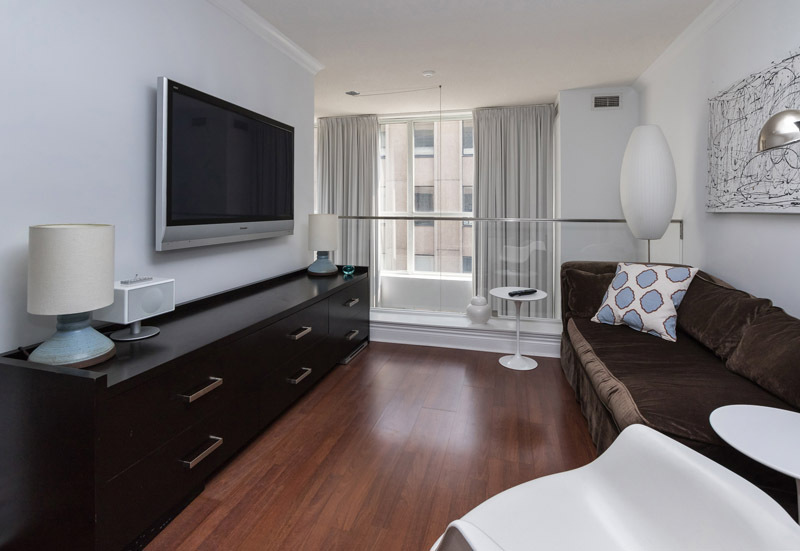 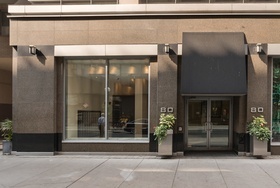 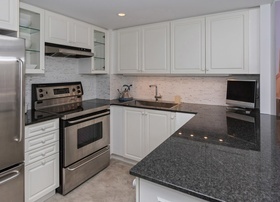 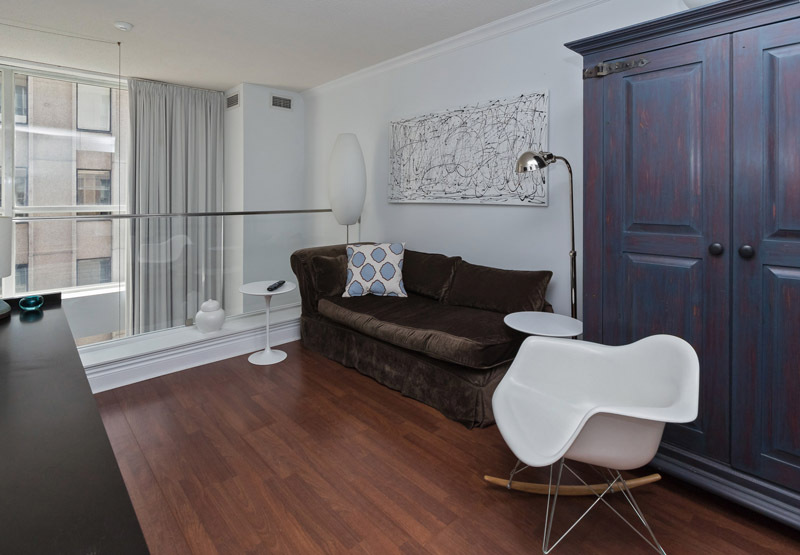 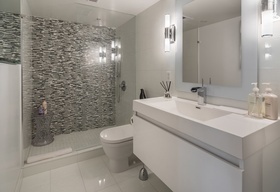 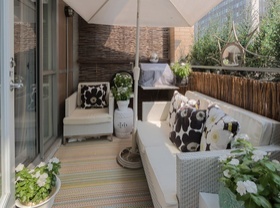 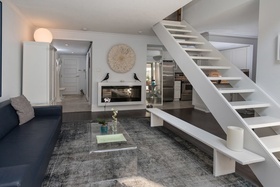 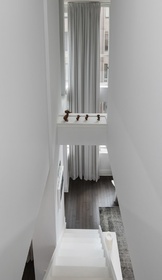 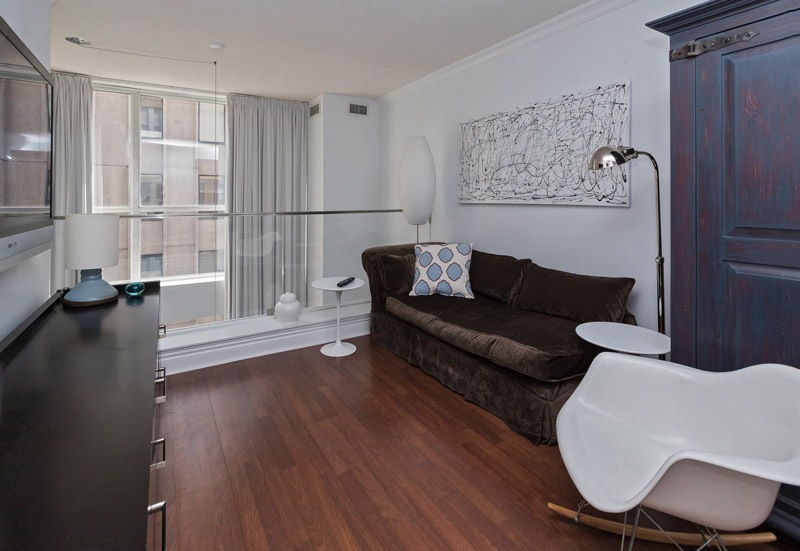 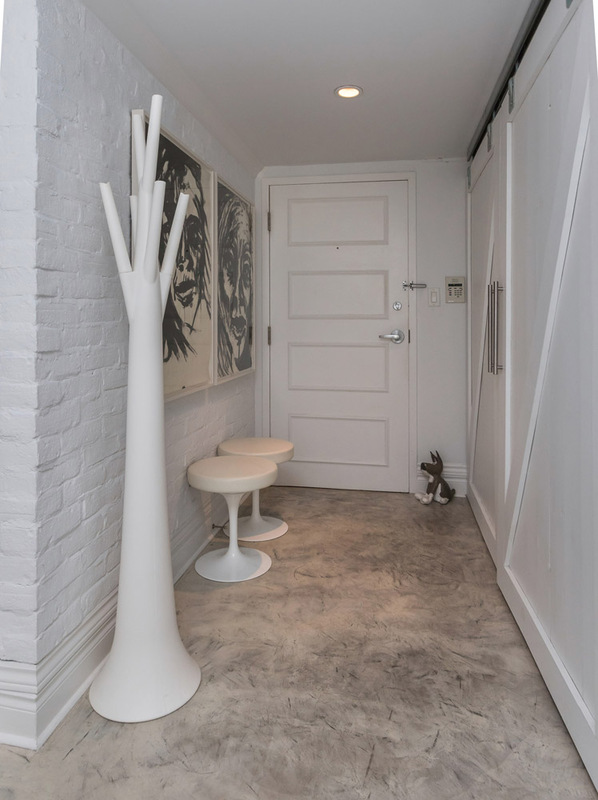 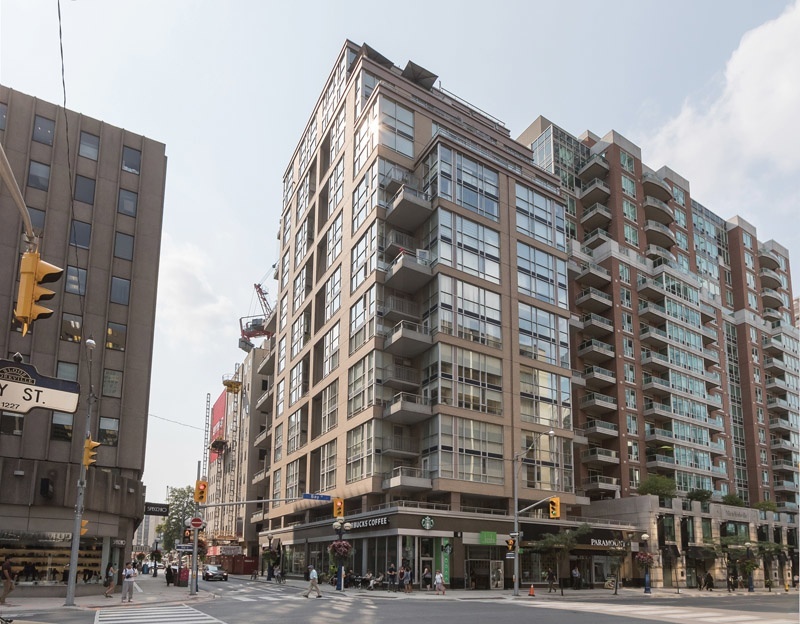 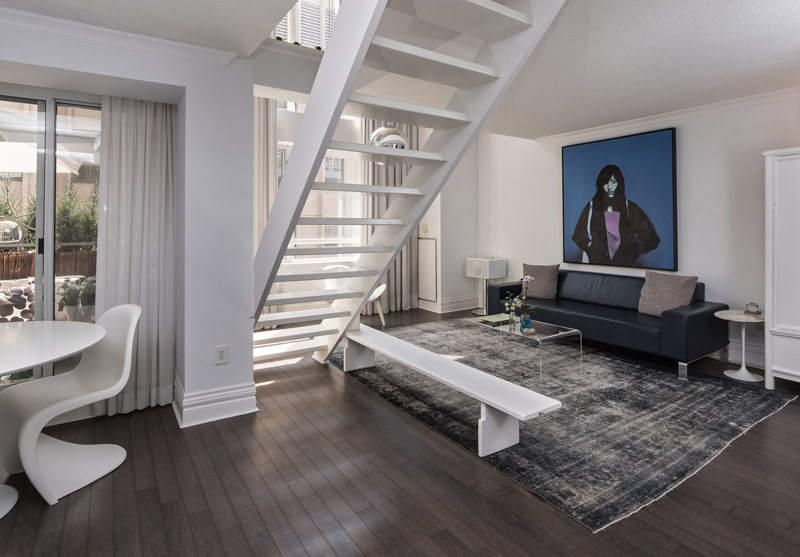 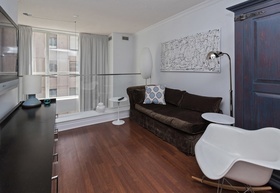 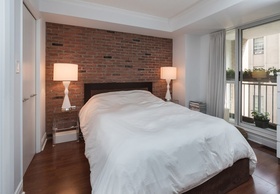 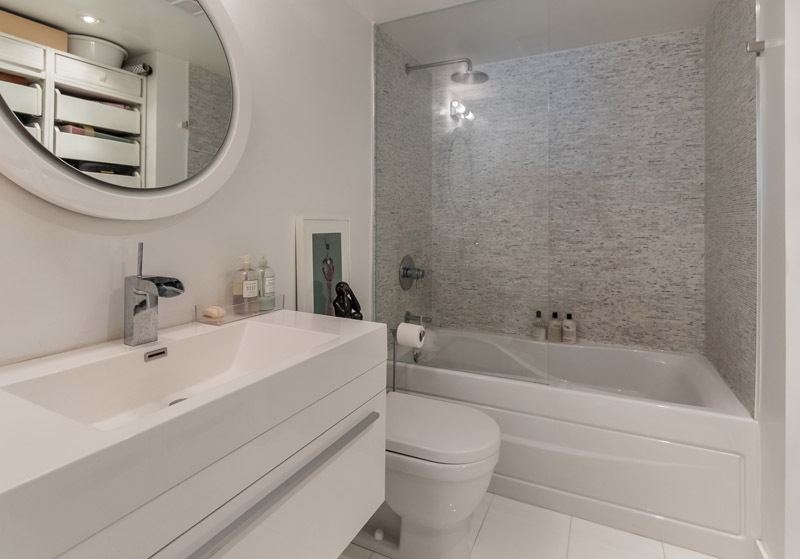 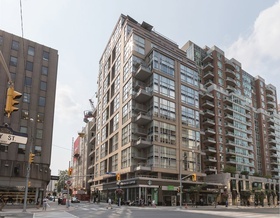 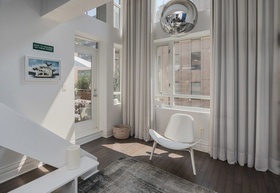 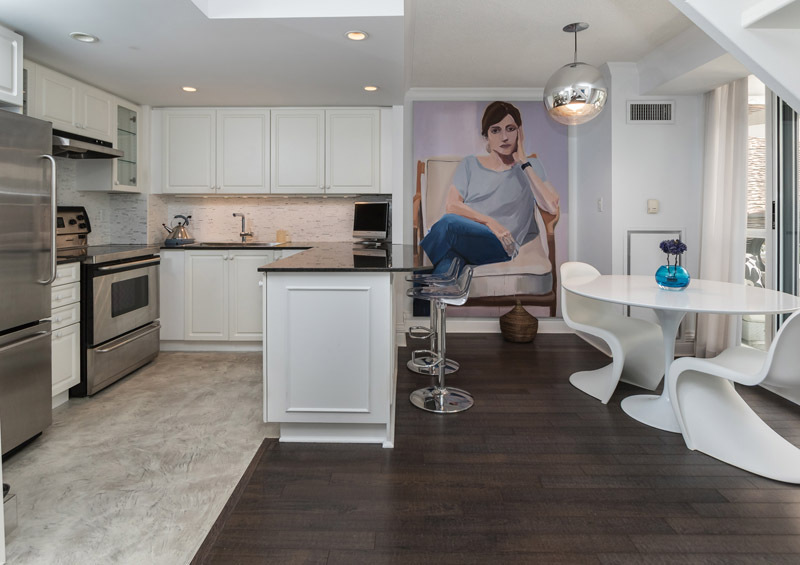 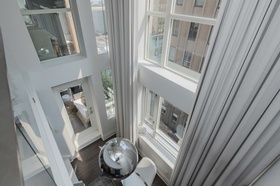 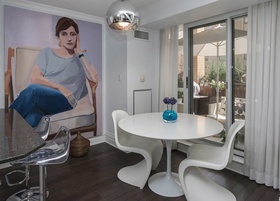 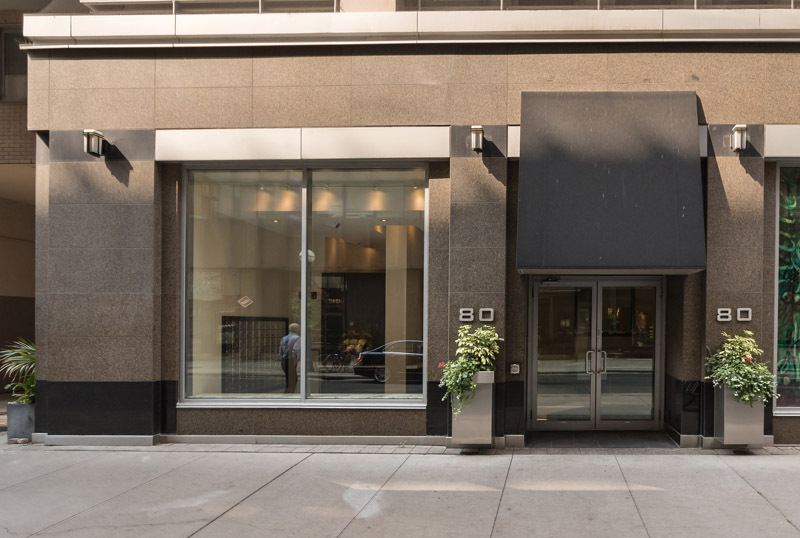 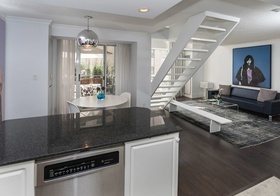 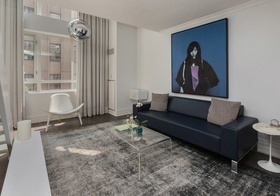 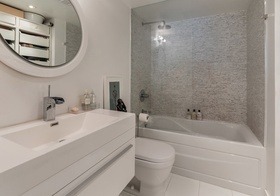 Extremely high-end renovated 1121SF suite in the heart of Yorkville. 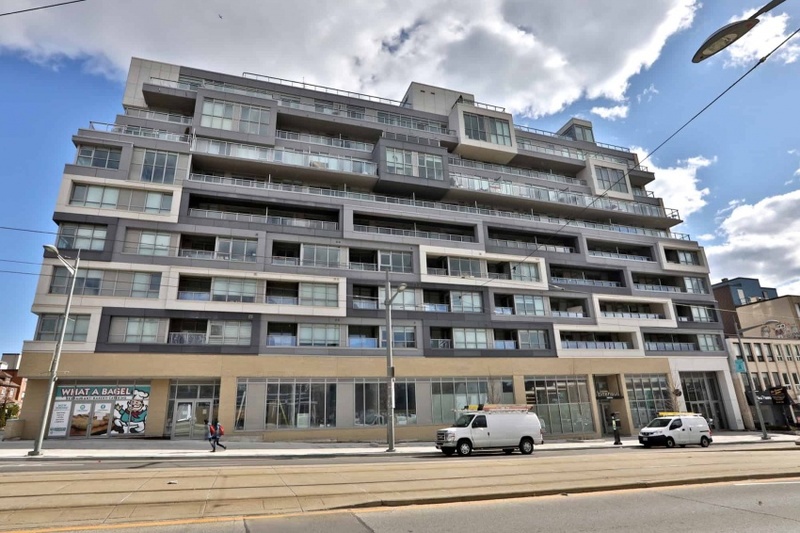 This 2 storey south facing unit has a brick feature walls in the foyer & master bedroom and two private balconies. 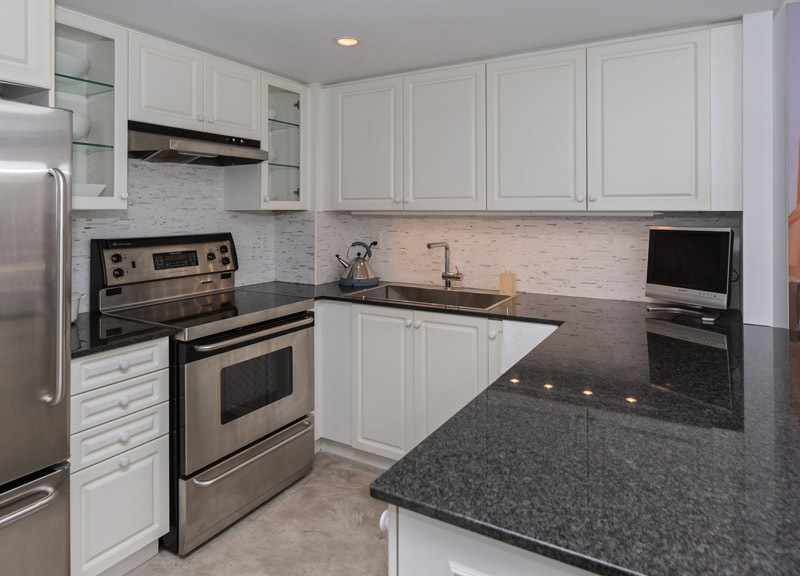 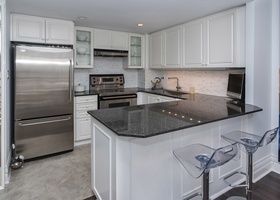 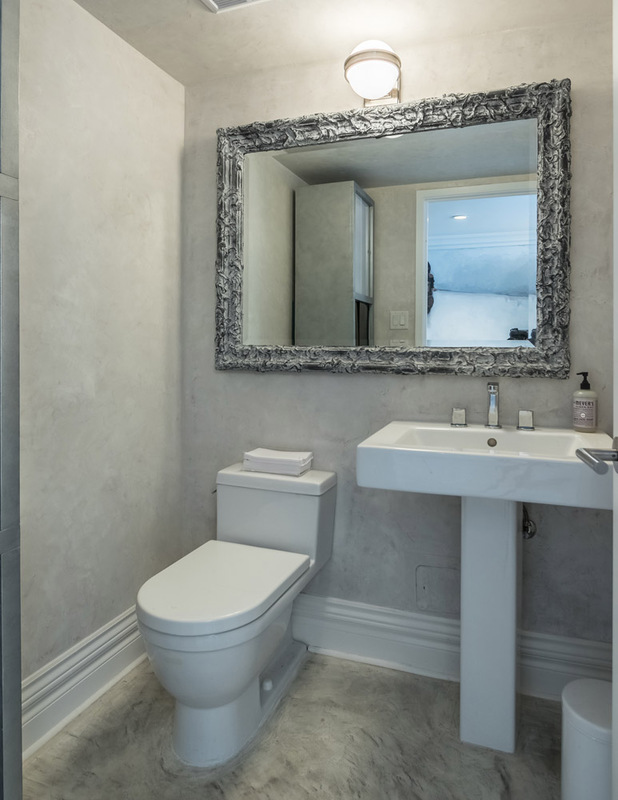 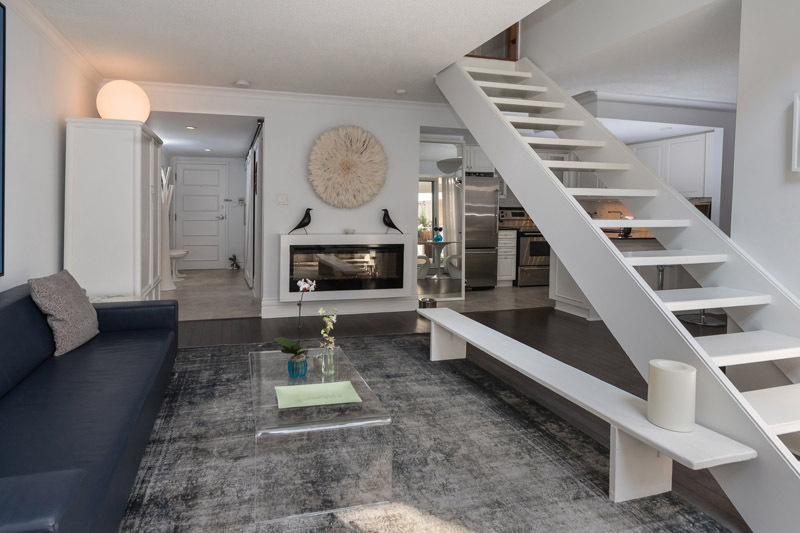 Barn doors in the foyer, hardwood floors, granite counters, crown mouldings, stainless steel appliances, and Starphire glass shower enclosures are some of the other fine features. the Arts of the Bay/Bloor/Avenue Road area. 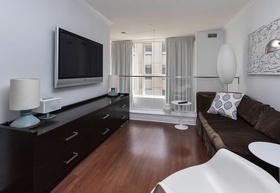 Inclusions: Existing S/S kitchen appliances (fridge, stove, B/I dishwasher), washer & dryer, all ELF’s (except where excluded), All exist window coverings, electric wall-mounted fireplace, built-jn shoe closet & closet organizers in the master bedroom, affixed planters located on the main floor balcony shelf, mirrors from both bedroom ensuite bathrooms.